Think “Lawyers Mutual,” and you think history. You think service. This year is our 40th year of dedicated service to the NC Bar. Lawyers Mutual is the sum of its staff who are dedicated and have a true passion for what they do. Vice President of Underwriting, Renee Riggsbee, has been with the company through many changes. We had a chance to talk with Renee about her experiences as she reflects on the past, present and future of the company. LM: How long have you been with Lawyers Mutual? RR: I left private practice in 1994, and joined Lawyers Mutual as a Claims Counsel when John Beard was President. I was with LM for three years, served a six-year term as a Commissioner on the NC Industrial Commission, and returned to LM as a Claim Counsel in 2003. In 2009, I became Vice President of Underwriting. Add all of that up, and I’m in my 17th year. LM: What is one of your fondest memories of your time at Lawyers Mutual so far? RR: My fondest memories are during the years I worked with Board members who served on the Claims Committee when I was a Claims Counsel. Many of those directors have retired, but I look forward to seeing them at least once a year at our Annual dinner. LM: 40 years in business is a major milestone. What would you say is one key factor in Lawyers Mutual’s success? RR: We are stronger than ever after forty years because we excel at one thing: Insuring NC law firms and providing exceptional service to our policyholders. We provide the best service because our company was created by NC lawyers who had a vision for long term commitment to serving the NC legal community. LM: What major changes have you seen in the company since you started? RR: The major changes have been in Underwriting and Client Services. In Underwriting, we have become better at assessing risk and pricing appropriately. Through Client Services, we have become a better leader in the legal community. We are also committed to investing in the Company. This year Lawyers Mutual is making a significant change in our IT processes by replacing our aged enterprise system which will eventually (fingers crossed) also allow policyholders to access their policy information through a secure portal. LM: How has your position evolved as the company has grown over the years? RR: I had a major evolution moving from Claims to Underwriting. In 2009, I became the Vice President of Underwriting. My background as a lawyer and my experience as Claims Counsel provided me with expertise and knowledge to take on new challenges in Underwriting. As an insurance company, we use historical data and trends to assess future losses, but Lawyers Mutual is also looking at changes and challenges in the legal profession and as we underwrite these new risks. We often engage in one on one, private conversations with our policyholders about potential ethics issues, coverage, and risk management associated with these new arrangements. LM: What is the most rewarding aspect of your job? RR: What I enjoy most are the daily conversations with our policyholders discussing issues important to them. LM: How is Lawyers Mutual preparing for the future of the profession? RR: We are aware, first-hand, of the changes in the practice of law, and we are focused on working with our policyholders to meet those challenges. Our theme this year is “A Lasting Legacy, A bold Future.” The future is uncertain, and we are facing many changes in the profession, but what will never change is our focus on our relationship with, and commitment to, our policyholders. 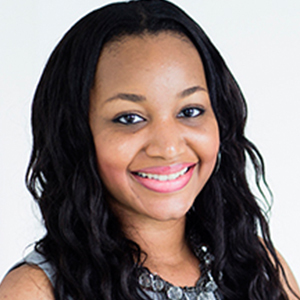 Monisha Parker is the Marketing Coordinator for Lawyers Mutual. Monisha connects Lawyers Mutual with our insureds and the legal community through the use of social media. You can reach Monisha at 800.662.8843 or monisha@lawyersmutualnc.com.